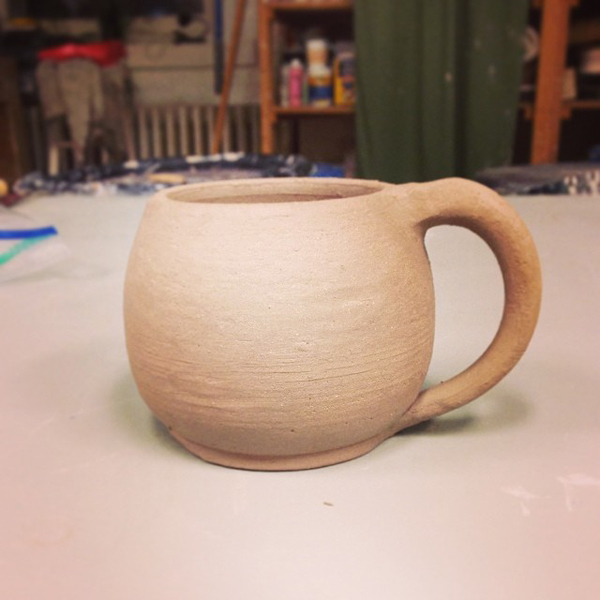 More progress in my pottery class. I made my first handle. I was surprised at how handles are made. I thought you used some sort of extruder machine. But we learned how to pull at clay with water to make a handle. Now this really looks like a mug! I also tried adding some decorative elements. 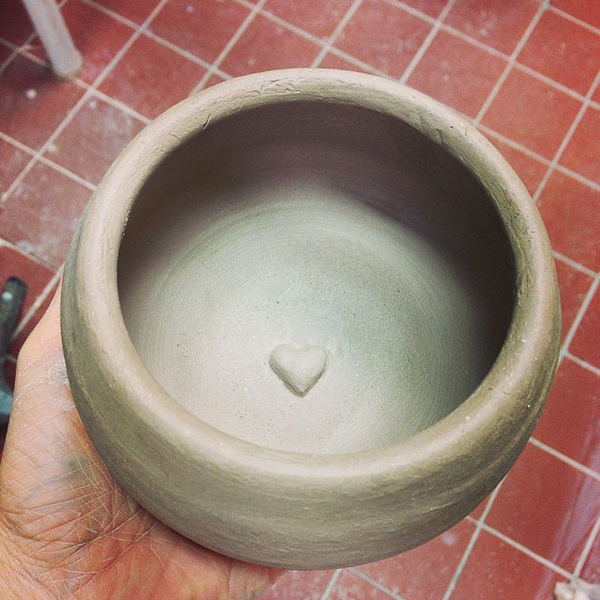 Like a lil wee heart at the bottom of this bowl. I can't wait to start glazing!